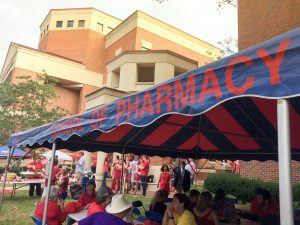 The University of Mississippi School of Pharmacy invites alumni, faculty, staff, students and friends to a tailgate prior to the Ole Miss vs. Auburn game. Just look for the School of Pharmacy’s red and blue tent in front of the Thad Cochran Research Center and Faser Hall! Thanks to our sponsor CVS!